1. Used with any grinders and polishers(more than 900W) with same thread. 2. Light weight and hydro float design prevent the tool from catching processed stone and grinding it on the top surface, incorporates specifically engineered waterways that flush out processed stone, so that prevent leaving any unwanted scratches on the surface. 3. Direct drive system, no belts or gears to replace or maintain, can transfer power directly to the router bit. 4. 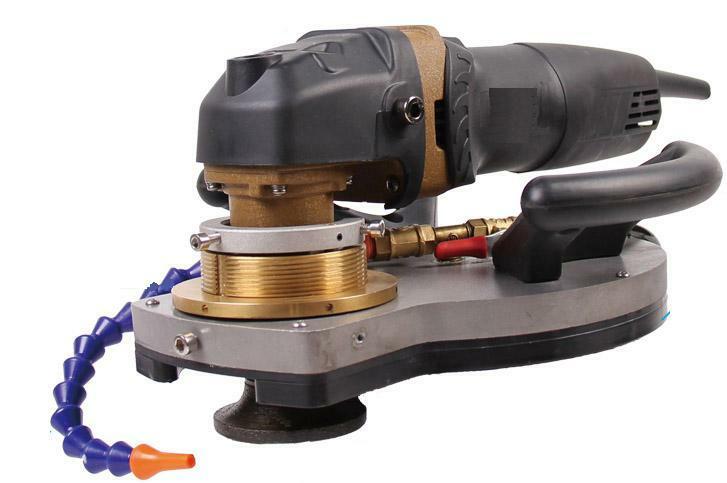 Designed to fill need for portable router for profiling and polishing the edges of granite and stone. 5. It is fast system from profiling to polishing.